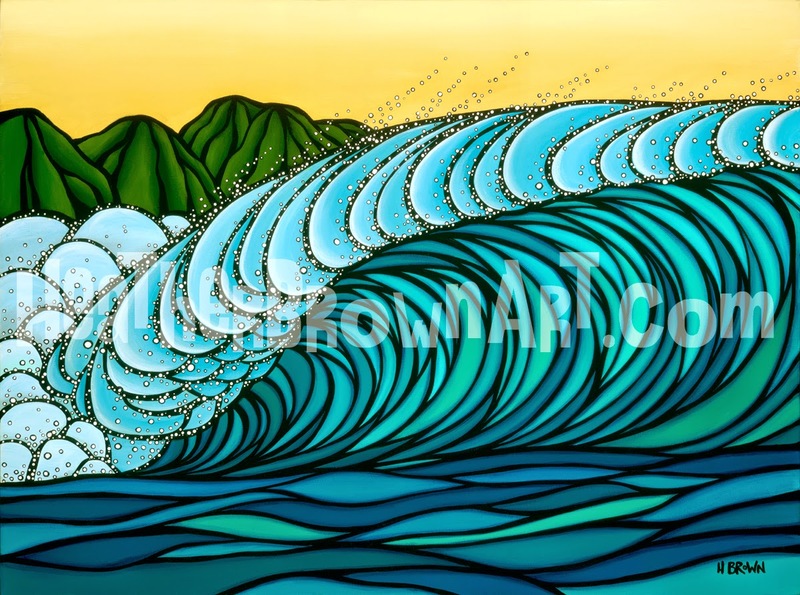 My newest release "Offshore Perfection" was released at the 9th Annual Surf Art show at The Wyland Gallery in Haleiwa on the North Shore of Oahu, Hawai'i just last week. Offshore Perfection is now available as a limited giclee on stretched canvas in multiple sizes. Edition size is 250 plus 25 artist proofs. Available to ship worldwide!